Crusader Prime, one of the C2E2 panelists. Photo from Chicago Tribune. Hello, my friends, it has been awhile since I posted on my blog here. I’ve been extremely busy working on my next book, doing final interviews, transcribing, research, a million and one little details. It’s going well and I can kind of see the forest from the trees on this project now. I have two events going on later this month that I’m real happy, real excited about. First, I’ll be talking about Heroes in the Night at the next MKE Comic Book Meet-up, April 22. This is a cool group in Milwaukee that meets up on a regular basis to discuss comic books. The them for the next one is “Social Issues in Comics” and they kindly asked me to be part of it. The first part of the evening will be a discussion from 6:30-7:45pm about comics that have tackled social issues. People are encouraged to bring comics they’d like to talk about. I will be talking about Heroes in the Night afterward from 7:45-9pm, particularly focusing on how the subject of the book (Real Life Superheroes) reflect their comic book counterparts. I’ll be showing some slides and I will have copies of the book available for a flat $16. This is going to be a fun time at Anodyne Coffee in Walker’s Point, a nice, casual environment. Info: Tuesday, April 22, Anodyne Coffee Roasting Co., 224 W. Bruce St., Milwaukee 53204. Comic discussion 6:30-7:45pm, Presentation by Tea Krulos 7:45-9pm. Free, copies of Heroes in the Night available for $16. Next, how cool is this– I’ll be hosting a panel at this year’s Chicago Comic & Entertainment Expo (C2E2)! The panel is titled “You Can be a ‘Real Life Superhero! '” I’ll be moderating special guests Razorhawk, the Watchman, Crusader Prime, Crimson Catalyst, and Night Vision. We will also have a couple surprise guests appearing via video message. I will be showing some slides and we will be talking about what this Real Life Superhero business is all about. We also will have a Q & A session with the audience. Hulk Hogan will be at C2E2, but I can’t speculate if he’ll show up for the panel. This will take place Sunday, April 27 2:30-3:30pm Room S401ab. Afterwards, I will be signing copies of Heroes in the Night at the Chicago Review Press booth from 4-4:45pm. 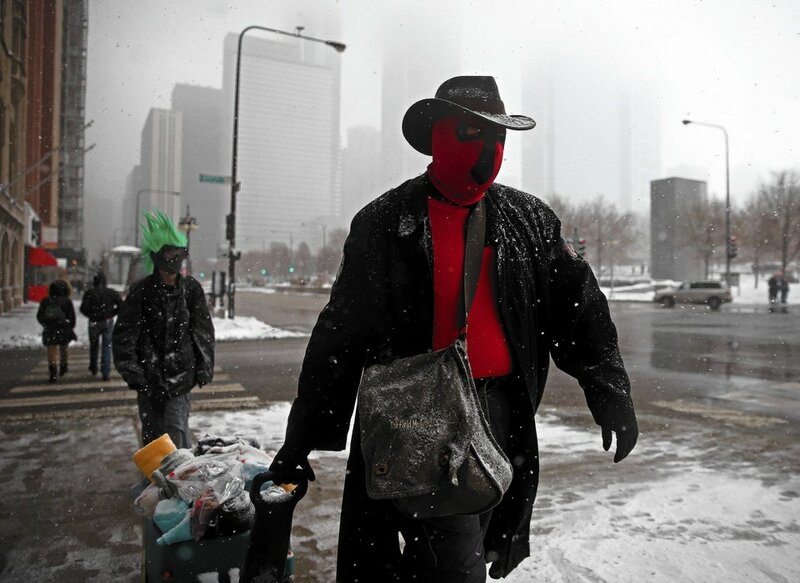 Besides the panel members, several other RLSH will be attending the con and my inside sources tell me the assembled RLSH will be joining forces and patrolling Chicago, handing out supplies to homeless people as they go. Good work, my super friends, good work! Info: The panel takes place at C2E2 (South Building at McCormick Place) Sunday, April 27 2:30-3:30pm, book signing follows 4-4:45pm at the Chicago Review Press booth. Posted on April 6, 2014, in Uncategorized and tagged Anodyne Coffee, C2E2, heroes in the night, Hulk Hogan, MKE Comicbook Meetup, real life superheroes, RLSH, tea krulos. Bookmark the permalink. Leave a comment.